A global, intellectual glitterati will hit Long Beach in February, 2011. TED‘s annual Long Beach conference is coming up in February and the 2011 Fellows were announced today. Mr. Dagar is an Indian entrepreneur and filmmaker developing a mobile phone for the blind, called the Braille Phone. The interface involves a keyboard and a set of buttons with a “refreshable Braille display.” He previously experimented with haptics and pillow speakers and a host of other interaction designs. The TED Platform is likely to give him the visibility he needs to further develop, scale, and market his forward-thinking products. A graduate of Philadelphia University and MIT, Tibbits is the founder of SJET, an experimental computation and design research firm. He focuses on coded assembly and programmable matter, specifically the embedding of information within material parts for “large-scale self-assembly.” He currently lectures at MIT and since 2007 has been collaborating with the experimental design group, THEVERYMANY. Min is an interaction designer based in Seoul–a graduate of Pratt, her work has been a creative experiment in visualizing live data sets in more innovative ways. The kind of information she works with ranges from gender ratios in night clubs to water-saving visuals. Who doesn’t always need a little more spice in presentations? Min is the ultimate PowerPoint killer. The Polish American is an open source agricultural innovator, pioneering Gandhi’s swadeshi principles of independence in America’s heartland, the Midwest. Specifically, one of his first innovations is an open source compressed earth block press. He is creating a “new civilization from scratch,” according to the TED announcement. 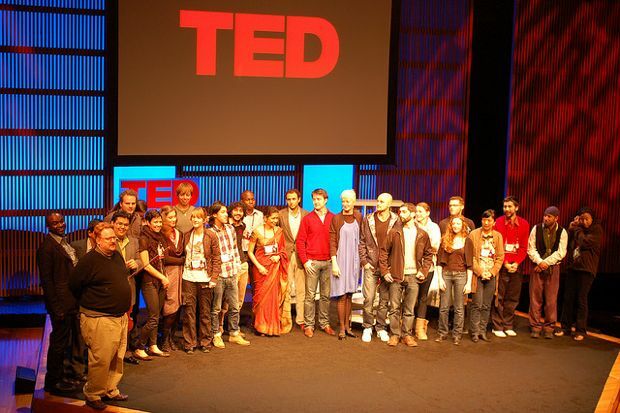 You can follow the TED Fellows’ blog here and look out for their contributions to the TED conference in February.